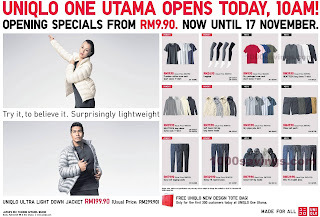 UNIQLO 1 Utama Opening Specials: Sales starts from RM9.90! 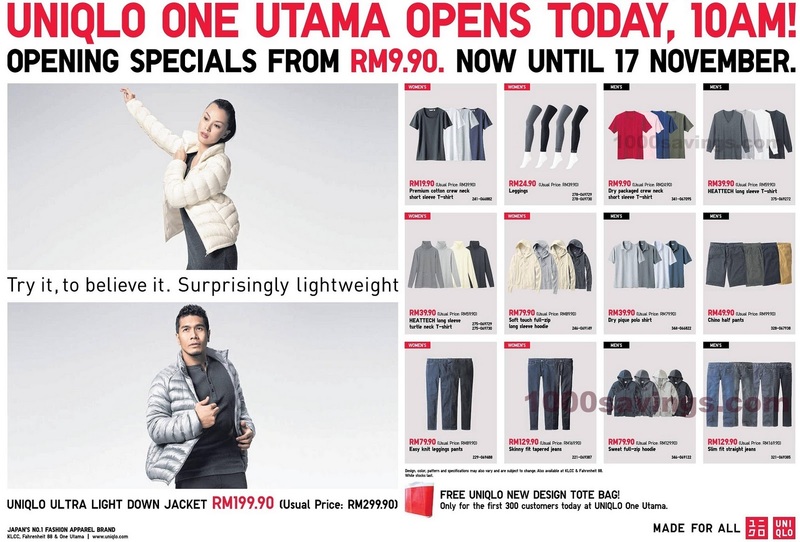 UNIQLO One Utama opens today, 10a.m.! Promotion from now until 17 November 2011. And, FREE UNIQLO new design tote bag for the first 300 customers today at UNIQLO One Utama. Share this great news with your friends and family through your facebook by clicking here!